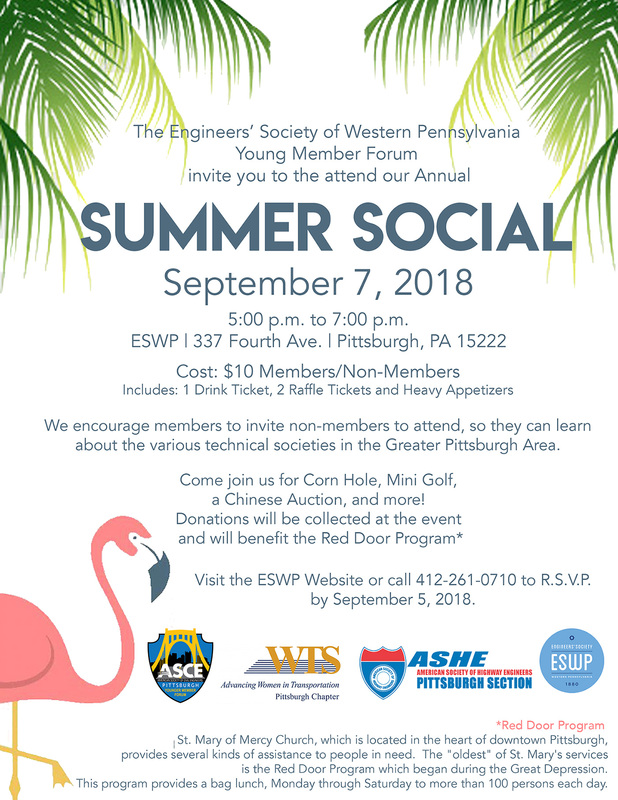 The Joint ESWP/WTS/ASCE/ASHE Summer Social is coming up on September 7, 2018. See attached flyer for details and invite non-members to attend! Join us for corn hole, mini goal, a Chinese auction, and more! Visit ESWP’s site to purchase tickets.